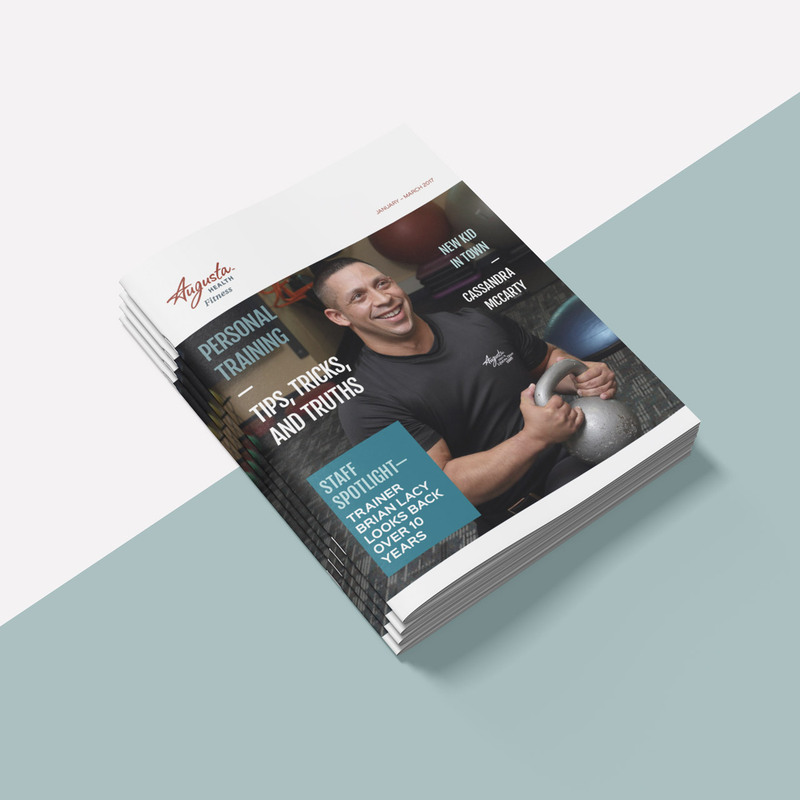 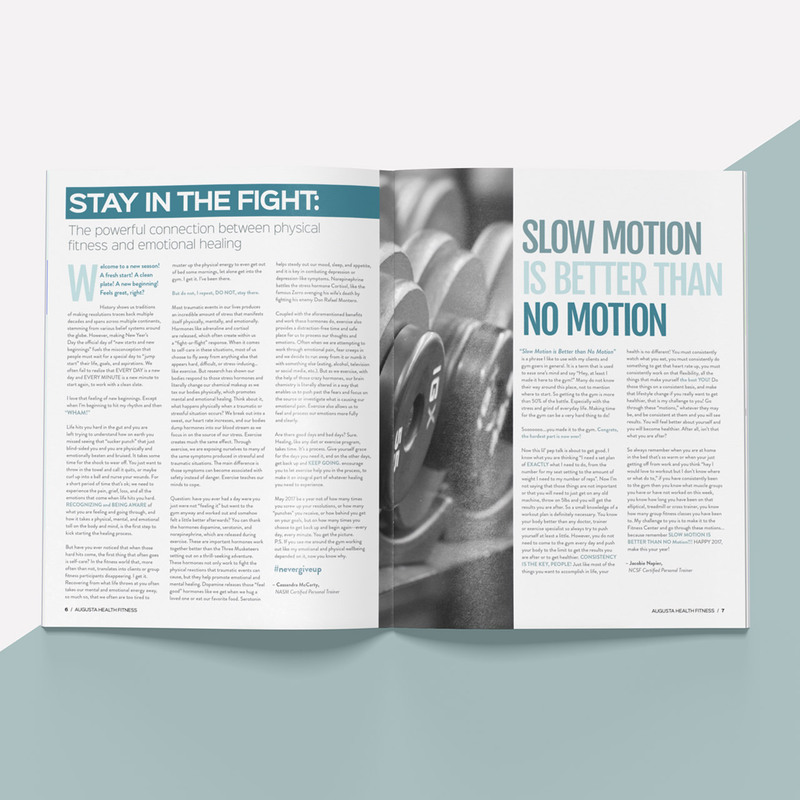 Each quarter we design a magazine style newsletter for Augusta Health Fitness. 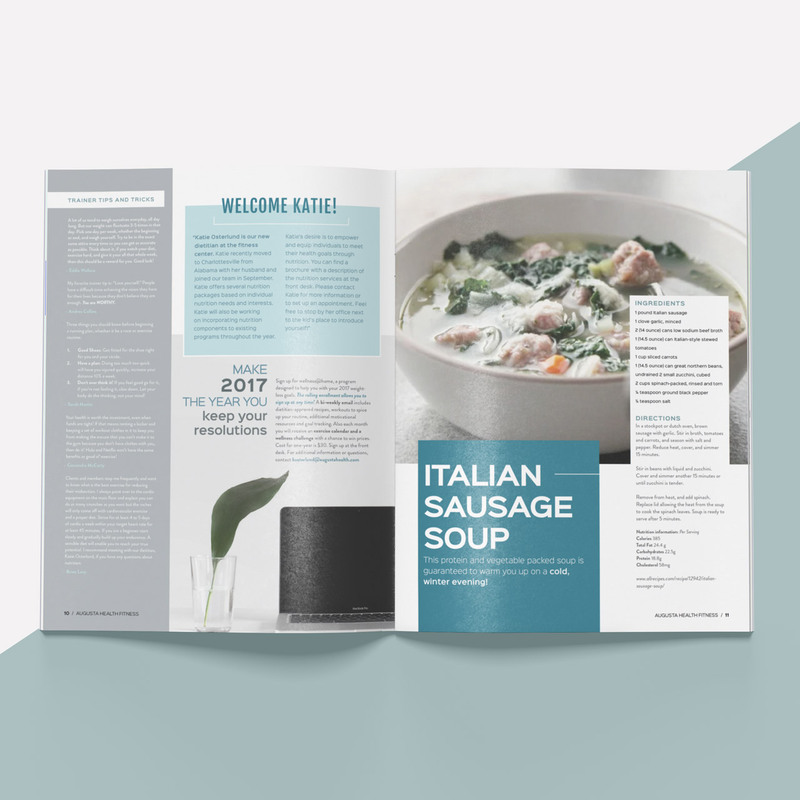 Utilizing the same layouts for the constant pages such as cover and intro pages as well as the same typography choices keeps the brand consistent. 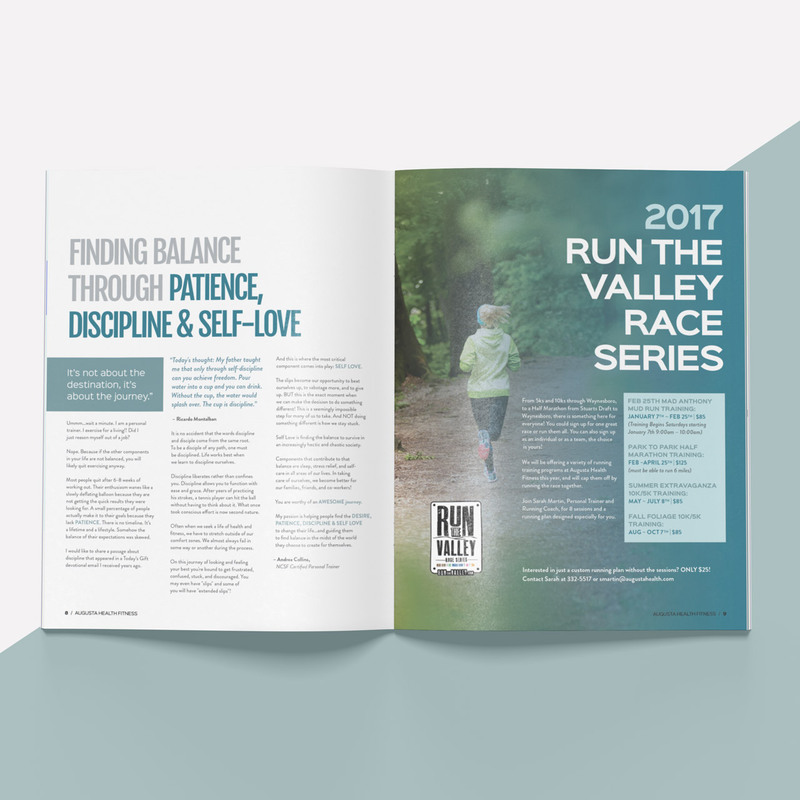 We love playing with color and different editorial layouts for the interior pages to create visual interest with each issue. 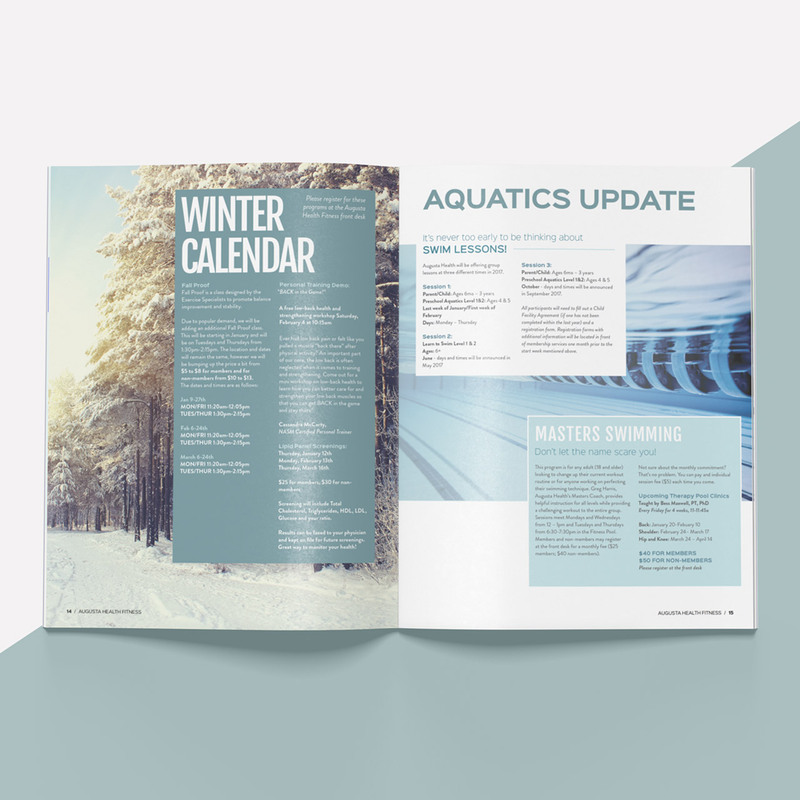 This example is from the Winter 2017 issue and the color palette was one of our favorites to date.